Just for a short introduction, I’d like my future readers to know about EM or effective microorganisms, otherwise called by some organic and natural farming geeks out there as beneficial microbes. 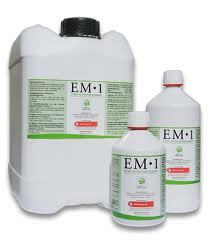 EM is basically a helper in many ways and can be utilized for use in the environment. Recently last night, I was able to find interesting articles pertaining to the actual use and importance of these microorganisms in both farming, self-sustainability and waste management at home and in the community. It can be applied and utilized for both small scale and industrial grade composting of biodegradable waste materials, therefore helping preserve the natural cycle of decomposition while attaining it at a faster rate, therefore conserving on energy spent to decompose waste materials. I have actually been trying my best to replicate and reproduce the old Korean natural farming ways I was able to watch from a video presentation of Bryan McGrath and follow the Masanobu Fukuoka do-nothing farming principle as much as I could. I have tried to reproduce my own beneficial microbes using basic Korean natural farming ways of breeding, cultivating and harvesting these microbes to help me with my production of my own bokashi powder for use in composting of our home kitchen waste materials. Well, actually, I am planning on taking some market vegetable wastes too if I succeed in this small scale bokashi composting that I am planning to do this year. I would like to produce our own FREE fertilized soil, that which is achieved thru natural fertilization and culture using these EMs that Dr. Higa has trademarked under his name and made popular not just for natural farming but for use in waste management. Well, I’ve done the steps in culturing of my own mycelium (fungus) for use in making my own EM 1 but the first two seemed to have failed me after 1 week of trying to grow and culture these garden helpers and composters (yeast and mycelium microbes). I have lined up the procedures on the different procedures I followed so others may benefit from them below. Make sure that your rice to water ratio is something that will make it at its most dry state after cooking. In my case, I used 1 cup rice: 1/2 cup rain water. Cook your rice under the lowest possible heat and let cool for about 1 hour without taking out the cooking pot lid. Do not overcook the rice. Avoid burning the bottom part of the rice. 5 minutes of cooking it after boiling is enough. Again, don’t open the lid while cooling it or this might spoil the rice early and invite unwanted microbes into your pot. Remember that your are using rice because of the high carbohydrate content which is basically food for the microbes you need to culture and harvest later on. After cooling, you can evenly dismember each of the rice bits as fast and most as you could. This will invite small gaps and spaces inbetween which you need to maximize before putting your cooked and cooled rice in a simulated microbial nest. 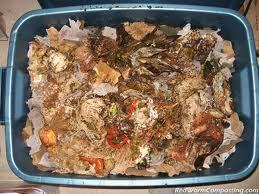 In this case, I used worm poop or vermicast which we couple have in the garden, ready all the time. No! Don’t put the evenly spread rice yet. You will have to get yourself some small container enough to contain 1/3 part with your cooked rice so there is room enough for your mycelium microbes to grow mold on the upper part of your rice as well as inbetween small spaces. (See video of Bryan below). In my case, I didn’t use any metal container for my cooked rice. I used plastic which had holes both on the sides and under and does not have a lid. Leaving it open will maximize invitation of more microbes to eat, feast and grow more in your rice easily. Put your cooked rice in your plastic container. Make sure you didn’t wash it prior with any faucet water which contains chlorine and ammonium in some cases. It will kill the microbes from within your microbes nest (vermicast). As another unexpected tip from my experience, prior to using my vermicast, I tried to spray evenly to dampen the worm castings with a dillution of 1:100 of back strap molasses 1 day before I scheduled using my microbes nest. This will help you grown your microbes and put them to an active state before feeding them with your cooked rice. I was able to attain maximum success with this method. Make sure to dampen (not wet) the whole vermicast in your microbes nest. Remember to keep your nest in a hot place as much as possible and make sure that little to no light is in the place / room where you will put it. It will help you make the microbes eat more of your food which in this case is the cooked rice (carbohydrates) and will make them grow faster than you expect. In my case, 18 hours is all it took and I already began to see development of cotton-like molds on the rice. Wait 5-7 days before harvesting the mycelium microbes or effective microorganisms that fed in your cooked rice which by this time had already developed into a hummus mix of rice, mold, and unseen beneficial microbes. This is what you will use in creating your EM1 liquid for use as substrate with rice bran or wheat bran to turn into bokashi powder for use in composting kitchen scraps later. I will explain about that later in my next posts. In the meantime, please hold your horses on a video that I will feature on this post as part of letting you guys see how to actually produce, culture or raise and harvest your effective microorganisms (beneficial microbes) for use in bokashi composting. So you have produced the necessary main material which is the effective microbes and fungus that you need to ferment later on. Now it’s time to harvest that hummus substrate of rice and beneficial microbes. How to do it? Well, below are simple steps on how to harvest that substrate which you will later on use to preserve and ferment until it is ready for use combined with a natural and unchlorinated water once more. This will be called as your EM-1 or microbial inoculant. 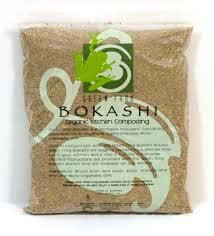 It will later on be used and added to another substrate which this time will be either your rice bran or wheat bran. In most Asian countries, rice bran is common and can be easily had while in Western countries like the US, Australia, Canada and so on, wheat bran is easy to come up with. Both however can be bought in your local poultry supply and supermarket. Microbial inoculants can be used in many ways and I took some research as I’ve mentioned above to find out how this useful harvest can be turned into something useful for both natural and organic farming as well as for the environment so others can benefit from it’s usability features which in many cases are not known to many. To harvest your hummus rice and effective microbes combination, all you have to do is to take out your container lying at the top part of your microbes nest where you put your vermicast and your cooked rice which by this time is already full of fungus activity because of the availability of carbohydrates which in this case is your cooked dry rice. Lift your rice plastic container straight up. Don’t hesitate to include whatever comes up with your container and this includes all the molds (cotton-like white material) and whatever vermicast goes with it. Yes, like what Bryan did, I also included the vermicast that went in with my rice container. Remember that all these are part of the new home of the beneficial microbes that you have cultured, fed and is harvesting so you have to maximize your harvest. Put your harvest in a big glass container ready for fermentation. While Bryan used plastic, I used glass so I can see what is happening to my new substrate after combining it with a new set of food which this time is my back strap molasses or brown sugar. Yes, you will feed your new substrate with simple sugar which can be found plenty in molasses or brown sugar. This will be the new food for your set of beneficial microbes which you are getting ready to turn into your microbial inoculant. Ratio of sugar or molasses with your rice and fungus cotton (indigenous microbes [IMO] and a bit of vermicast) is 1:1 by weight, Remember to use brown sugar or molasses only. White sugar had bleach on it which will definitely kill your microbes and you don’t want that to happen, instead you want them to grow and multiply more by feeding them with the right food they need and love. Keep your mixture of sugar and IMO or indigenous microbes (mix of rice and bacteria and fungus) for 5-7 days. Expect to see a little part of mold after the fermentation process. By fermentation, I meant that you will keep it in a cool dark place for 5-7 days. You will have to experiment on this one as there are some procedures that say it took them up to 2 weeks to ferment the microbes and have them multiply more.